Seaborn (Sebie) Smith O’Neal Buchanan, age 81, of Macon, Georgia, died peacefully on March 23, 2019 after a lengthy battle with a rare blood disorder, Autoimmune Hemolytic Anemia. She fought this disease for years but was unable to recover from serious complications that began in the summer of 2018. Sebie was born on June 27, 1937 in Statesboro, Georgia to Marion Cooper Smith and Byron “Crook” Smith. Her formative years however were spent in Savannah, Georgia, where the family moved when Sebie was a young girl. Upon graduation from Savannah High School, Sebie attended Mercer University in Macon, Georgia and thereafter called Macon home. She met and married the late James (Jim) W. O’Neal, Jr. with whom she had four children. After their divorce, Sebie met John A. Buchanan and was happily married for 29 years until his death. 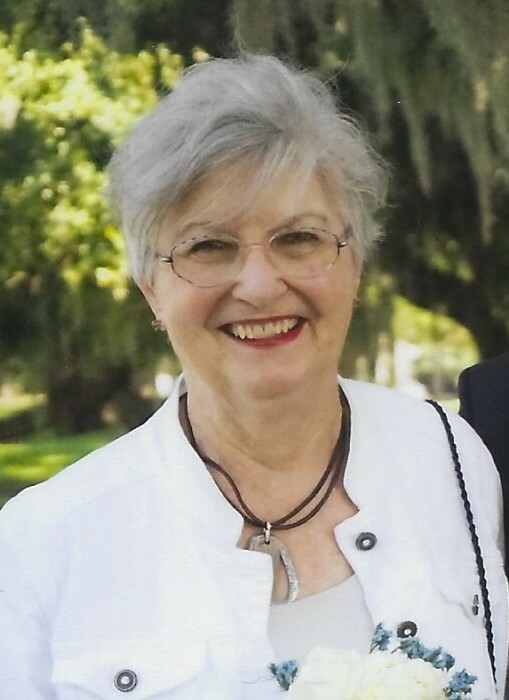 She and John moved to Paris, France, Brussels, Belgium, and Florence, Italy with John’s work as an Episcopal priest, but always returned to Macon as their home base. Sebie received degrees in Music and Education from Mercer University and loved music, especially classical music. She had a beautiful voice and loved to play the piano. She sang with the Christ Episcopal Church choir up until her latest illness. She was also a member of the Morning Music Club. Sebie played bridge as a young adult but became a passionate duplicate bridge player later in life. She was a member of the Macon Duplicate Bridge Club where she was a past president, achieved Life Master status, traveled all over the southeast for tournament play, and was always ready to assist other players in reaching their point goal to gain Life Master status, too. Sebie was an excellent cook and hostess, a quintessential Southern Lady, a wonderful mother and a strong and independent woman. Even as a divorced mother with four young children, she achieved a Master’s Degree in Social Work from Florida State University. She worked for the Georgia Department of Family and Children’s Services for ten years as an adoptions case worker. She was a long-time member of Christ Episcopal Church, singing in the choir and working with their Meals on Wheels program. Sebie is survived by her four children: Shawn Wouters (Brent) of Atlanta, Sheila Freeman (Bill) of Warner Robins, Jimmy O’Neal (Kathy) of Warner Robins, and Suzy Maiorana (Nick) of Macon; ten grandchildren: Jacki Donaldson (Ben), Kaitlyn Clark, Sarah Freeman, Julia Maiorana, Will Freeman, Albert Wouters, Maria Maiorana, Andrew Wouters, Timothy Freeman, and Nicholas Maiorana; one great grandson: Aiden Smith. She is also survived by three loving sisters: Suzanne Geier of Melbourne, FL, Marion Johnson of Raleigh, NC, and Rosemary Goldwire (Bill) of Yulee, FL, along with numerous nieces, nephews, grandnieces and grandnephews. The family would like to thank Martha Ethridge for the loving care and friendship she gave Sebie, as well as the staff at Coliseum Medical Center and Zebulon Park Rehabilitation Center. Funeral services will be held at 11:00 am on Saturday, March 30, 2019 at Christ Episcopal Church in Macon, Georgia. A reception will immediately follow. In lieu of flowers, donations may be made to Christ Episcopal Church, Macon, Georgia. Hart’s Mortuary has charge of arrangements.